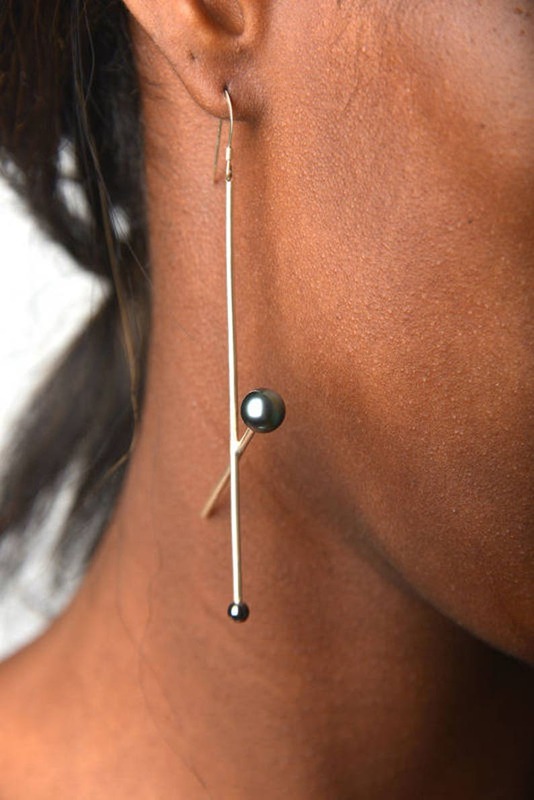 Earrings "Mikado" double, Silver 925 and black Tahitian pearls and hematite beads. Can be ordered with clips for non pierced ears, but price will be increased by €30. Ask me if you want them with clips. Finally realization being made at your request, it requires a few days for production before delivery. Thank you for understanding! Ring silver reticulated with two small Jasper beads "Las Lunas"